The debate has been waged for years: which is a better choice for Ethernet cabling: traditional copper or fiber optic? Even the fiercest defenders of copper (except the companies that manufacture copper cable, of course) admit that there are an enormous number of advantages to fiber optic cable. But have those advantages allowed fiber to claim a final victory in the debate? The big argument that copper proponents have clung to for years is that installing copper Ethernet cabling was much less expensive than running a new fiber optic installation. At one time, the price of copper cable was as much as 50% lower than that of fiber. The situation has changed, as the cost of fiber has come down drastically in recent years. Fiber optic cable is usually still a little more expensive than copper, but when you factor in everything else involved in installing a network the prices are roughly comparable. For example, it costs slightly more (and takes a lot more time) to properly terminate fiber optic cables than copper. (It also takes more expertise, but as fiber becomes more prevalent that’s becoming less of an issue.) 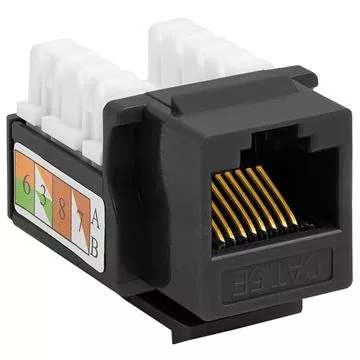 On the other hand, certification testing for copper, particularly Cat6 cable, is more expensive and quite often has to be done several times before the network passes muster. In fact, copper testers themselves cost four times more than fiber testers. One area where copper still holds the big advantage, though, is in supporting electronics. That’s especially true when it comes to small Ethernet installations built on a copper backbone. Nearly every computer and laptop sold today has a NIC card with a built-in port ready to accept a UTP copper cable, while an expensive converter or fiber card is required to make a fiber optic cable connection. When you have an installation with a large number of machines, that extra cost can be prohibitive. You also need fiber ports in the equipment closet at the other end of the connection, another large expense. The latter issue can be overcome with a fiber backbone, but the issue and expense of end-user connections remains. Many who’ve done the cost analysis and ended up going with fiber optic, though, have found that there are many compensating cost savings because of fiber’s other advantages. One example: fiber optic cables simply don’t break as often, so the costs of repair or replacement are far lower. Another is the major cost savings that comes with fiber’s greater effective range, which we’ll discuss shortly. The rest of the scale tips heavily toward fiber, as you’ll soon see. The advantage most often cited for fiber optic cabling – and for very good reason – is bandwidth. Older Cat5e cables are capable of supporting 100 Mbps networks, while Cat6 copper cabling can support 1 gig networks. That’s plenty for most small Ethernet installations, and the limits may again be pushed as researchers are trying to coax copper into decent performance at 10 gigs. That higher bandwidth won’t be available to ordinary users on copper networks anytime soon, however, and the ever-increasing ceiling on network demands certainly isn’t peak anywhere close to 1 Gbps. Fiber optic Ethernets can easily handle the demands of today’s advanced 10 Gbps networks, and have the capability of doing much more. Think of it this way: signal transmission via copper is always going to be theoretically limited to the speed that electrons can travel, while signals traveling via fiber optic cables will theoretically be able to reach speeds close to the speed of light. There’s really no comparison, and this advantage of fiber over copper will continue to grow in the future. One of the inherent disadvantages to copper Ethernet cables is that they experience signal loss over long distances. The effective limit of a copper run is about 300 feet; distances longer than that require either signal boosters or a series of equipment closets with backbone cabling. That’s the extra hidden expense of using copper that we alluded to in our discussion of economics, since each closet requires racks, power, cooling and UPS protection as well as space. Fiber optic cables, on the other hand, can run without significant signal loss for distances as long as 1000-6000 feet, with the shorter distance suitable for 1 gig networks and the longer run still extremely efficient at lesser speeds. That eliminates the need for boosters, equipment closets or other methods needed to ensure reliable copper network operation throughout a large facility. By its very nature, copper cabling is susceptible to crosstalk and both radio-frequency and electromagnetic interference, since it is transferring electrical signals. 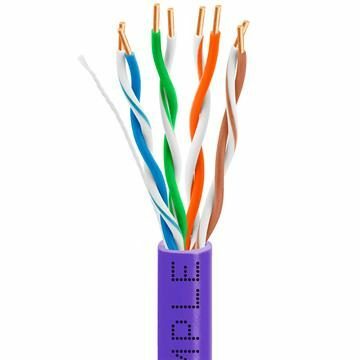 Using Cat6 Ethernet cable instead of Cat5e cable is one way that interference can be lessened in a copper network; Category 6 cable uses several measures, including an internal spline to separate the twisted pairs, to minimize interference and crosstalk issues. However, that lessens interference. It doesn’t eliminate it. Fiber optic cable doesn’t carry electricity, it carries light. That makes it immune to the interference problems that often plague copper cabling, particularly in industrial environments where heavy machinery is notorious for creating problems. There are two smaller advantages to fiber which won’t be major factors in deciding between the two alternatives, but still should be mentioned. Optical fiber cables are lighter, thinner and more efficient than their copper counterparts, so they take up much less space in an installation and are much easier to work with than copper. There is a widespread belief that their size and weight make them less able to withstand the strains of installation, but that’s not the case. Fiber is more durable with a much higher tension limit than copper, and will stand up better to environmental extremes. Copper cables can potentially be a fire hazard over the long term, since there is an electrical current passing through a jacket which can wear over time. With no electricity involved in the transmission of fiber optic signals, there is no concern. Fiber Optic vs. Copper: Is It Still a Competition? Copper cable may still be the right choice for smaller Ethernet installations, particularly when the cost of fiber cards and ports for workstations and equipment closets will break the budget. It could also make sense for smaller-scale operations with in-house technicians unfamiliar with or skittish about working with fiber. In either case, short runs of copper cable remain an attractive and affordable choice. In all other cases, however, fiber has won the battle. It supports modern network speeds easily, it can be run over long distances, it enhances security and prevents signal interference, it’s easier to install (albeit, with a learning curve) – and it doesn’t cost that much more than copper. In fact, when facility design and long-term maintenance costs are factored in, it might even cost less.